Linen is high-quality, durable and resilient material commonly used to make hard wearing items such as aprons, towels, tablecloths and bags. 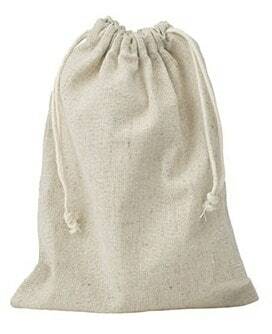 The Linen drawstring bags is one of our top sellers. 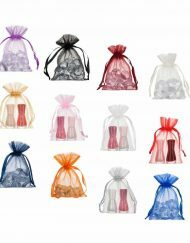 One of the main reasons why the organza bag team love the linen drawstring bags so much is because of the simple, household rustic style. Linen also has a characteristic sturdiness and adaptability. 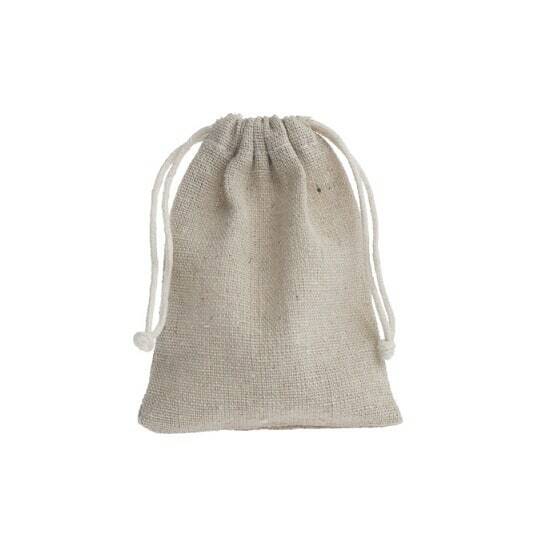 Why Choose Our Linen Mini Drawstring Bags? 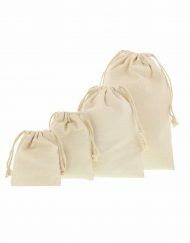 The timeless, natural beauty our linen drawstring bags fit seamlessly in with a summer wedding or garden parties. 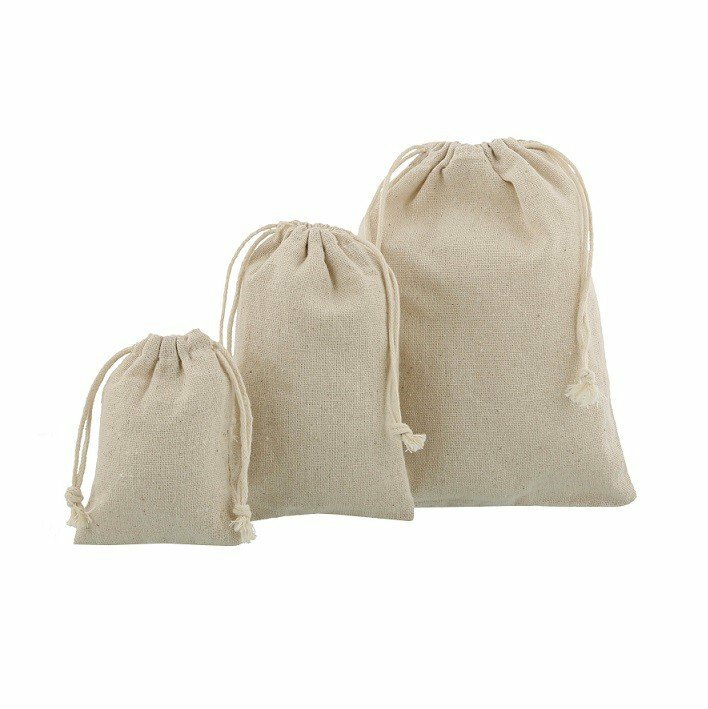 The linen mini drawstring bags are perfect for holding a small, memorable gift to give to your guests as a token of thanks. 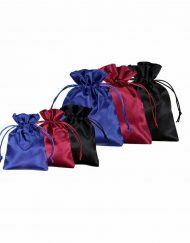 Why Choose Our Linen Mini Drawstring Bags For Your Business? The chic, simplistic appeal and high quality of these linen favour bags makes for the ideal giveaway bags at tradeshows and corporate events. It is particularly favourable amongst cosmetic companies that sell natural or handmade products as well as health and wellbeing organisations that want to promote a clean, simplistic brand image. 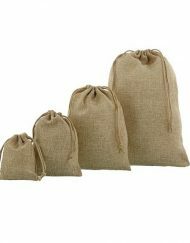 We Offer Custom Made Design Option On Our Linen Bags. 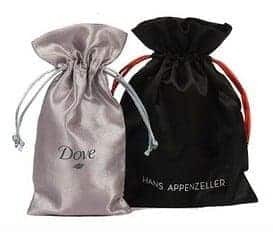 With our Linen drawstring bags we go a step further and offer our customers a chance to have their own logo or artwork printed onto the front. This process involves taking your desired piece of artwork and screen-printing it onto each bag using a permanent ink solution. If you’re preparing for your wedding day, why not have the date printed on the favour bags so your guest can go home with the special memories of your day. If you are celebrating an anniversary or milestone birthday, an emblem or phrase printed on the front of the bags add a touch of personality to the favour bag and makes memories last longer. 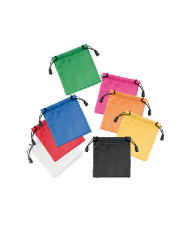 Or if you are promoting your brand image, have your logo printed on the bags to leave a lasting impression on your customers and business associates. 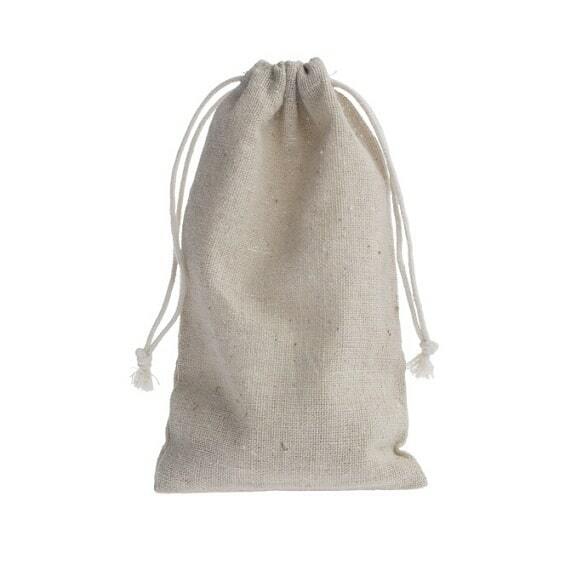 What Does The Linen Drawstring Bag Feature? The fabric is made of a cotton, linen and PE blend. 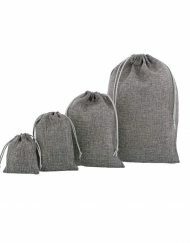 The linen bags include a strong cotton cord that closes at the top. 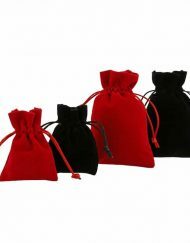 The mini drawstring bags feature a subtle inner-lined stitching. The choice of packaging is: 100 units per carton. 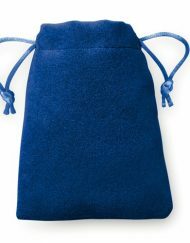 Orders for your linen mini drawstring bags are delivered to your door within three working days, free of charge. If you choose the custom-made option, the delivery time is longer. If you are not fully satisfied with your order, we offer a 30-day return policy. 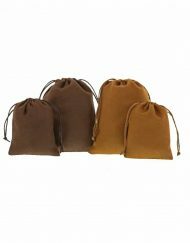 The linen drawstring bags are available wholesale in the UK and across Europe. – “Playful” quality, flat-weave fabric. – Fabric composition of cotton / linen / PE. – Durable, high-quality cotton cord 3mm. Lovely little bags, good quality and reasonably priced. Amazing bag, very good quality! The colour goes with everything and the size is just good enough. Love it! Great bags, quick shipping, good service! Great bags, keep me coming back for more of them! Truly great service and very quick delivery. Glad I’ve found your site. Fantastic service and great quality bags! Fab bags, great quality and excellent service. Would highly recommend. Bought these many times over the past year and a half. They are an excellent quality and delivered quickly. Will be back for many more in the future!